Many people believe that the word Allah is a name given by Muslims, this is not so. The Prophet Mohammed’s fathers name was Abd-Allah, at a time when Islam did not exist. Prior to the advent of Islam the Name Allah was announced with the title of every Prophet. When the souls were created, the first Name on their tongue was Allah and when the soul entered the body of Adam, it said, Ya-Allah, and only then it entered the body. Many religions understand this enigma and chant the Name Allah and many others because of doubt are deprived of the Name. Any name which is used to point towards God is worthy of respect. The method of producing light. In prehistoric times stones would be rubbed together to make fire. Whereas a spark can also be produced by rubbing two metals together. In a similar way electricity is made from water. Similarly by the friction of the blood inside the human body, in other words electric energy is produced by the vibrating heartbeat. In every human being there is present, approximately one and a half volts of electricity due to which the body is energetic. As the heartbeat slows in old age, this reduces the electricity in the body and this in turn also causes a reduction of the energy level in the body. Firstly, the heartbeat has to be made vibrant and pronounced. Some do this by dancing, some by sports and exercise and some people try to do this by meditating and chanting the Name of God Allah. When the heartbeat becomes vibrant and pronounced then by chanting the Name Allah try to synchronize it with every heartbeat. Alternatively try to synchronize Allah with one heartbeat and Hoo with the other. 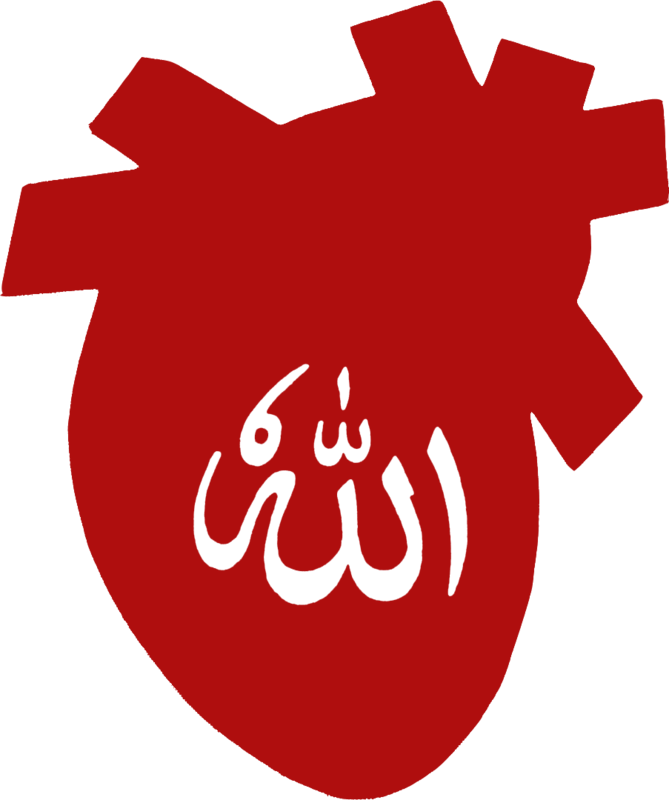 Some time by placing your hand on the heart and when you feel your heartbeat, again try to synchronize the Name Allah by chanting it with the rhythm of the heartbeat and imagine that the Name Allah is entering the heart. The first method for producing light. Write Allah on a paper in black ink, and do this exercise for as long as you wish on a daily basis. Soon thereafter, the Word Allah will be transported from the paper and hover over the eyes. Then with one-pointed concentration, attempt to transport the word from the eyes to the heart. The second method for producing light. Write Allah on a zero watt bulb, in yellow. Whilst you are awake or just before sleep, concentrate and try to absorb it into the eyes. When it appears on the eyes then try to transport it to the heart. The third method for producing light. This method is for those people who have perfect spiritual guides and teachers and who due to their spiritual connection are spiritually assisted by them. Sit alone and imagine that your index finger is a pen. Using your finger and with your concentration, attempt to write Allah on your heart. Call upon your spiritual teacher (spiritually), so that he too may, hold your finger, and write Allah on your heart. Continue to do this exercise everyday, until you see Allah written on your heart. By the first and second method, the Name Allah becomes inscribed on the heart, just as it was written and seen by you but when it becomes synchronized with the heartbeat, then it slowly starts to shine. In the synchronized method, the assistance of the spiritual teacher is provided and for this reason it is seen shining and well written on the heart right from the beginning. Many Prophets and Saints have come into the world, and just for the sake of testing this, if you feel it appropriate, concentrate or call upon all of them when you are practicing your meditation. Whilst concentrating on any Prophet or Saint, during your meditating practice, if the rhythm of your heartbeat increases, in its vibration or you feel an improvement then this means that your destiny (spiritual fruits) lies with that Prophet or Saint. Thereafter it is beneficial to concentrate on that same person whenever you practice your meditation as spiritual grace is transferred in this way, because every Saint is spiritually connected to a Prophet, even if that Prophet is not physically living. The spiritual fruit (grace) of every illuminated person is in the hands of one Saint or another. It is essential that the Saint is living. Sometimes a very fortunate person is gifted with celestial spiritual grace by a perfect Saint who is not living, but this is very rare. However Saints not living in our human realm can provide worldly spiritual grace and assistance to people from their tombs. This is known as OWAISI spiritual grace. The recipients of such spiritual grace often get entangled in their spiritual insights, visions and dreams because the spiritual guide providing the assistance is in the spiritual realm and so too is Satan and the recognition of the two becomes difficult. Along with the spiritual grace it is important to have knowledge, for which a living Saint is more appropriate. If a person (Saint) possesses spiritual grace but is without knowledge, that person is known as a MAJZOOB (Godly but abstracted due to the complete absorption into the Essence of God and who is not in full control of his faculties). A person (Saint) having spiritual grace and knowledge is known as a MEHBOOB (literally, loved one). Such people (Saints) as a result of their knowledge provide worldly spiritual assistance as well as spiritual grace and benefit. Whereas the MAJZOOB‘s are known to provide worldly spiritual assistance to people by their unusual but accepted practices of shouting obscenities and poking people with their wooden sticks. If any (Prophet or Saint) appears but does not help or assist you then put Gohar Shahi to the test. You may belong to any religion, there is no condition in this respect as long as the individual is not eternally ill-fated. Many people have received the spiritual grace of QALB meditation from the Moon. This is obtained when there is a full Moon from the East. Look at it with concentration and when you see the image of Gohar Shahi on it say Allah, Allah, Allah three times and you will be blessed with this spiritual grace. Thereafter without any fear or reservation practice the meditation as described. Believe (the fact) that the image on the Moon has spoken to many people in many different languages. You can try looking and speaking to it also. Many people without having acquired the illumination of the spiritual entities (‘Lata’if/Shaktian’) and without attaining spiritual strength and prowess try to engage in this meditation. They either fail to reach the meditative state or become the subject of Satanic interference. This type of meditation is for illuminated people, whose spiritual entity of the self has been purified and the QALB has been cleansed. The practice or attempt at this type of meditation is foolish no matter what type of physical worship is used to achieve this. To collect and gather the strength of the soul and the spiritual entities and then to travel to a place is what is known as meditation. Sainthood is the one fortieth part of Prophecy. Every dream, meditative journey, inspiration or revelation of a Prophet is accurate and authentic and does not need verification. Only forty out of a hundred dreams, meditative journeys, inspirations and revelations of Saints are accurate the remaining sixty percent are inaccurate. The lowest type of meditative journey is started only after the illumination and awakening of the spiritual entity of the QALB. This is impossible without first achieving the meditation of the QALB (meditation with the vibrating heartbeat synchronized with the Name Allah). It takes one jerk or shake to bring the person out of this meditative state and back to consciousness. The faculty of the augury (foretelling the future by reading verses or looking into designated books) is also connected to the QALB. The next stage is the meditative journey of the soul. It takes three jerks or shakes to return a person back to normality from this meditative state. The third stage of the meditative journey is done by the spiritual entity, Anna and the soul together. The soul travels along with the spiritual entity Anna, to the realm of souls just as the Archangel Gabriel accompanied the Prophet Mohammed to the realm of souls. People who are in this meditative state are sometimes even taken to be buried in their graves and they are unaware of this happening to them. Such a meditative state and journey was taken by the “Companions of the Cave” as a result of which they remained asleep in the cave for more than three hundred years. When this meditative state and journey was undertaken by the Sheikh, Abdul-Qadir al-Jilani, in the jungle, the occupants of the jungle would regard the Sheikh as dead and would take him to a grave for burial but the meditative journey would break just before the burial (the Sheikh would return to consciousness). How to recognize a special inspiration and revelation from God. When a person has awakened and illuminated the spiritual entities in the chest and is worthy of receiving the rays of the Grace of God, then at that point God communicates with that person. God is All-Powerful and can do as he pleases and thus communicate with the human being in any way fit, but he has made a special method for his recognition so that his friends can be saved from the deception of Satan. Firstly, text in the Semitic language appears on the seekers heart and its translation is seen in the language of the seekers mother-tongue. 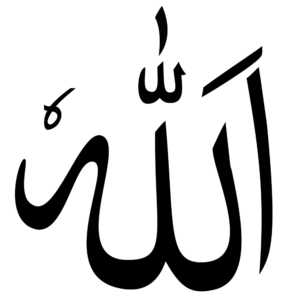 The text is white and shiny and the eyes close automatically and look at the text (internally). The text then passes the QALB and moves towards the spiritual entity SIRRI as a result of which it shines even more. Then the text moves towards the spiritual entity, AKHFA and from here it shines more and then moves onto the tongue. The voice then spontaneously starts to repeat that text. If this inspiration is from Satan then an illuminated heart will dull the text and if the text is strong and prominent then the spiritual entities SIRRI or AKHFA destroy that text. Further if due to the weakness of the spiritual entities the text does arrive at the tongue, then the voice will prevent it from being spoken into words. This type of inspiration is for special types of Saints, whereas in respect of ordinary Saints, God sends messages to them through the angels or other spiritual entities. When the Archangel Gabriel accompanies the special and inspired text, this is known as revelation which is confined to the Prophets.